Hello Deborah, and thank you for agreeing to this interview, to share some thoughts with our readers. Can I start by asking you about your literary roots? As a young one, what types of writing and books enthralled and captured your imagination? As a child I was always passionate about books, even before I was old enough to read the ones in my parents’ library, like The Moon’s A Balloon by David Niven, and Valley of The Dolls by Jacqueline Susann. I used to pretend that I was a librarian, and mark their books in pencil with an imaginary name and ‘date due’. I guess the first author that I serial-read, apart from the Ladybird books (aw, Rumpelstiltskin ) was Dennis Wheatley. The book that I remember the most is The Haunting Of Toby Jugg, a tale of satanic possession and madness of a fighter pilot, confined to his bed. It was the imagery that was vivid and believable, the character of Toby, and how easy it was to empathise with him, and, of course, the suspense of an occult thriller. Thinking about it, I was always interested in characters and different accents. Even though I was shy at school, I jumped at the chance of reading the main characters, like Will Mossop in Hobson’s Choice and Eliza in Pygmallion, then fell back into being an introvert. My Dad used to call me Mike Yarwood. In my twenties, my colleague Sally suggested Far From The Madding Crowd by Thomas Hardy. She raved about it. It looked boring to me, but I gave it a try and ended up setting my alarm for 5am, every day, so that I could read it before work. It was the character of farmer William Boldwood that fascinated me, with his obsessive pursuit of Bathsheba, buying her fancy clothes and labelling them with a ‘B’, in preparation for their phantom marriage. It was both heartbreaking and exciting at the same time. Passionate. How could an author affect you so much, with words? There began my literature obsession. When did you first embark on the literary journey of not just admiring the works of others, but take those fascinating first steps into creative expression within poetry and writing? I’ve always read a lot, and had/have a big collection of books. Every book I read, I make notes in the back, of ideas, favourite quotes, quirky words or concepts, or snippets of history that I am unfamiliar with. It wasn’t until I began studying with the Open University that I realised why I made these notes. I wanted to be a writer. It was only by chance that I signed up to do a Creative Writing course to fill 30 points for my English Literature degree, and I got a taste for words. Also, as an introvert, it was an excellent way for me to express myself, which I don’t really manage in speech, unless I’ve had alcohol, or no sleep. I also found that I was making sense of things as I was going along, in my notebooks, as therapy, understanding the world, feelings and people, and getting perspective, really. Your book Testing the Delicates covers various aspects of the social stigmas relating to the breakdown of mental health. How personally challenging was this task to initially plan and create? Also, did the creative expression of these thoughts uncover any surprising emotions, with the benefit of time & hindsight? Emotionally, it was difficult to write. Not only did I re-live painful events that some of the poems were based on, I went through a stage of worrying if this was the right thing to do, to write about such a personal subject of my mother’s mental health, and share it with the world. Would she have been ok with this? As a loving mother, I’m convinced that if the book helped somebody, if someone could identify with it, then she would think it was worth it. There was, and still is, a lot of prejudice, with regard to mental health, and it is something I detest. I wanted to give my mother, myself, and others, a voice. You’ve recently created a deeper layer for your expressive talents via public performances of your poetry, alongside the artist/musician Mark Sheeky as duo Fall In Green. Could you share some thoughts on how this added to your initial inspirations and goals for Testing the Delicates? Do you foresee further public performances in the future? 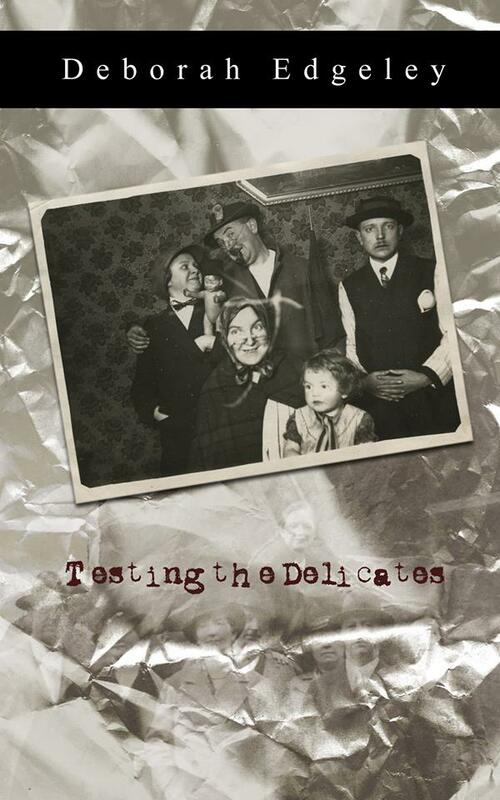 When Testing The Delicates was first published last year, there was a local event, raising money for North Staffs & UK Mind, with a call out for performers. I thought of performing some of the poems from my collection, and Mark Sheeky suggested a piano accompaniment. 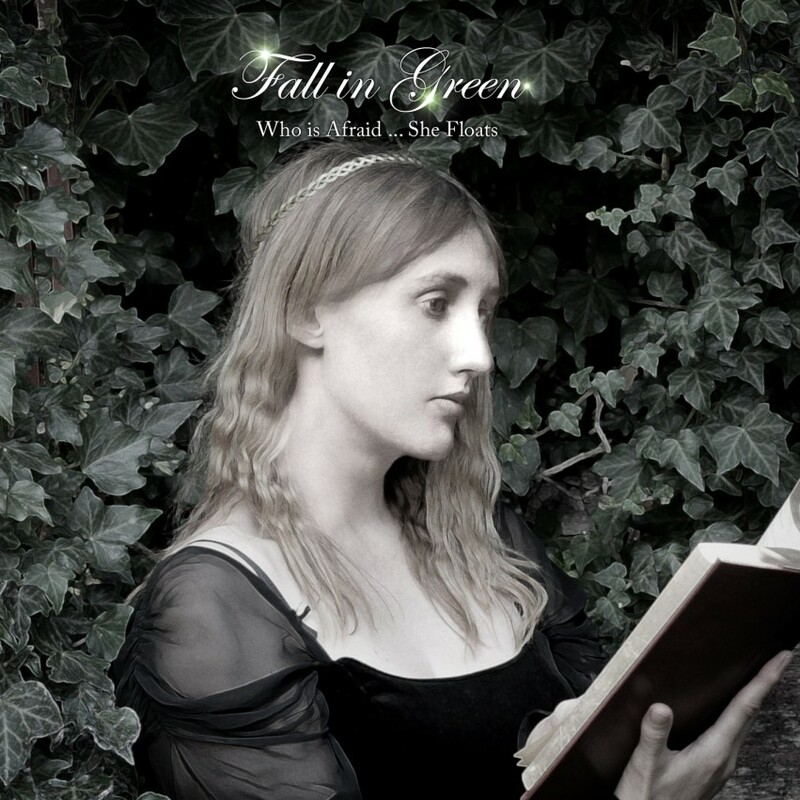 The organiser, musician Glyn Sutton, asked if we had a stage name, which was something we didn’t think of, so we decided on Fall In Green, taken from Kate Bush’s Wuthering Heights (we roll and fall in green…). Since then, we have done several gigs in Acton, Crewe, Holmes Chapel, Nantwich, Sandbach, Warrington and Whitchurch. It was fun listening to the style that accompanied each poem. It seemed to bring the writing alive, in a theatrical way. For example, ‘Walking Tears’ has a sinister, funereal undertone, ‘Whose Apple Thou Art’ has a theatrical, posh, Shakespearean voice, with bits of bumpkin, and a harpsicord accompaniment, and ‘Quick Get your Lows Before they Run Out’ is spoken in an American drawl, resembling a TV advert for happiness. We also perform a canon called ‘Gauging A Life’, creating the effect of identity confusion through layering voices. Another layer of expression and understanding was created by Mark Sheeky, who illustrated Testing The Delicates with pen and ink. With regard to further public performances, it would be great to take our act to festivals. Performance and theatre is something I have always loved. Aside from writing, what other forms of creative expression appeal and build inspiration for you, Deborah? Reading. I’ve always got a book on the go. I’m reading Doris Lessing’s The Golden Notebook (go and buy it) and have just finished Douglas Coupland’s Hey! Nostradamus, topical, based on the Columbine massacre. Oh, and a couple of Jeanette Winterson’s, in particular, Why be Happy When You Could Be Normal? Absolutely wow! I’ve had a few guitar lessons, so would like to accompany some new poetry with strings, but it might take forever as takes such a lot of motivation for me to learn (and it hurts my fingers!). My personal enjoyment from working at Ink Pantry focuses strongly upon the element of learning and discovering what makes other creative writers ‘tick’ and what inspires them. In this vein Deborah, what was the initial inspiration behind the creation of ‘Ink Pantry’ and what factors continue to inspire you for the future? Thank you for sharing your thoughts. Finally, the big question! 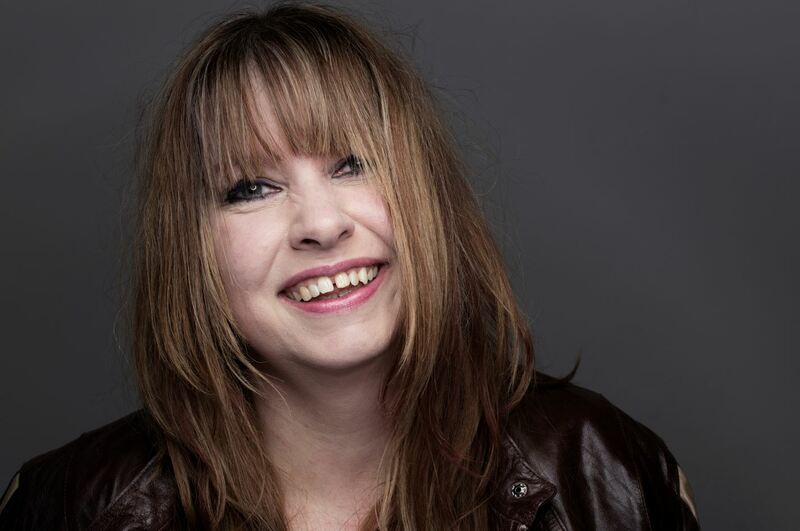 What is coming next from the pen of Deborah Edgeley? New genres? Different challenges? Further creative collaborations? Do tell! As Fall in Green, our poetry and piano duo with Mark Sheeky, we will be releasing an album of Testing The Delicates. 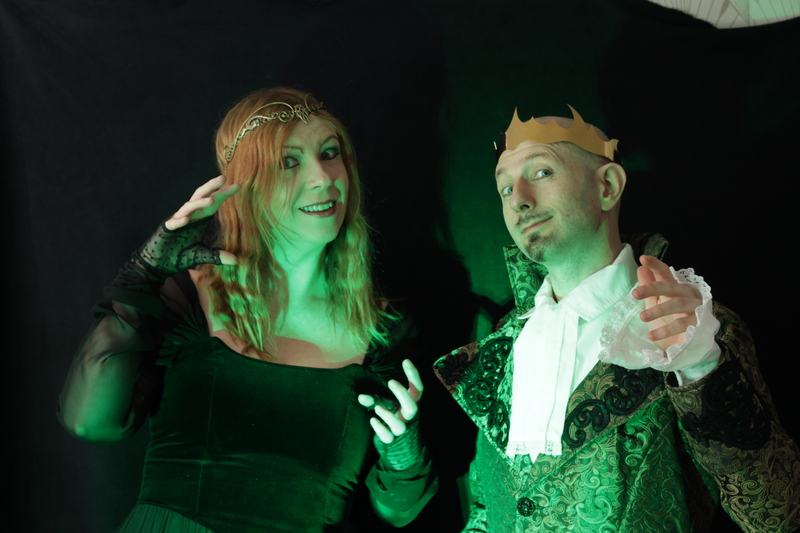 We have been filming the videos to accompany both of our single releases. Our first single will be ‘Who is Afraid…She Floats’. It is based on Virginia Woolf and Ophelia from Hamlet. Can we take poetry into the charts? 🙂 We’re going to give it a go! I am also working on my father’s memoirs of his army days. The working title is Charlie Stockton. One of his stories called ‘The Bridge’ was published in War Memories by Ian Billingsley, with a foreword by Norman Wisdom. He would have loved to have published his own book. Kate Foster is an editor, both by day and at heart. She loves nothing better than getting stuck into a manuscript and then, constructively of course, ripping it to pieces! 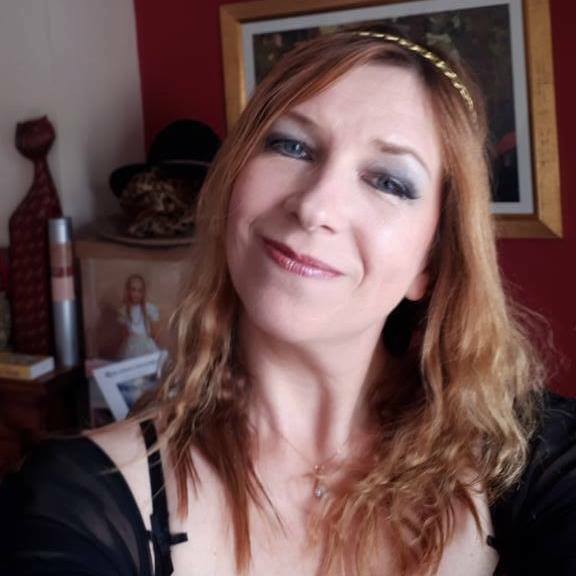 Structural or developmental editing is her forte, particularly bringing characters to life, and she is an eternal student taking regular courses and reading blogs, articles, and books about the craft – there is always something new to learn! She works with authors preparing to self-publish, as well as those who’ve been traditionally published, but she definitely has a soft spot for teaming up with brand new writers unsure of how to move forward. Mentoring new writers is another passion, and Kate was a middle grade mentor from 2015-2017 in the annual Pitch Wars writing contest, which is renowned for launching many authors’ careers. She has also mentored writers and judged writing in other contests such as TeenPit. She’s forever buying new books, both physical and digital – because both can and should be able to exist happily side by side – and her TBR pile is perpetually growing. 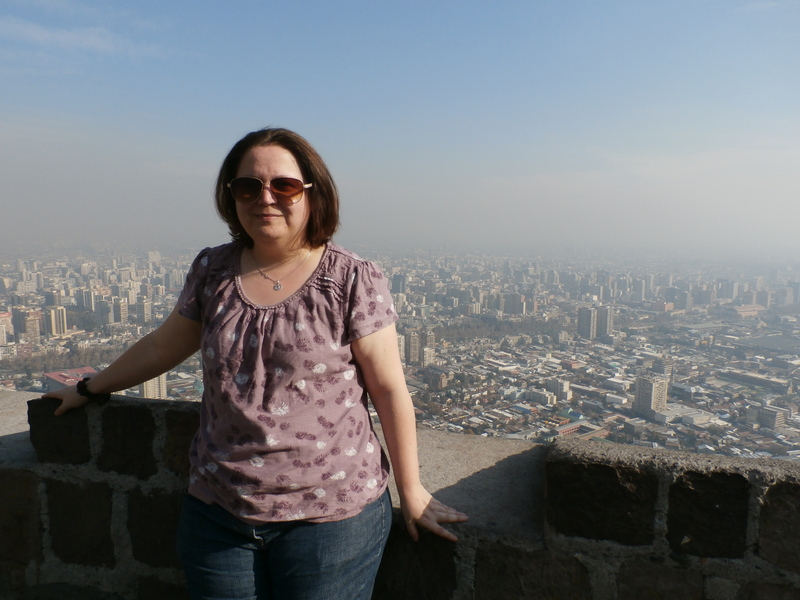 As editorial director at Lakewater Press, Kate is able to make authors dreams come true by publishing their books, several of these having won awards and attracted the attention of film production companies. Also a writer since her early years, Kate now writes mainly middle grade fiction (8-12 year olds), particularly for the upper end as she leans toward writing horror with dark content. Scaring kids is a great pastime! With three sons who like to read, she is lucky to be able to run ideas past them to gauge just how scary her works-in-progress are – middle grade is a lot about balance. After a bumpy start after taking her writing from laptop and notebook to sharing it with the big wide world, Kate finally self-published a middle-grade sci-fi called WINELL ROAD, which won an award in 2015, with two more books planned in the series. Now represented by the Jennifer De Chiara Literary Agency, Kate is preparing to go out on submission to editors with her latest novel, a spooky children’s horror with paranormal elements. 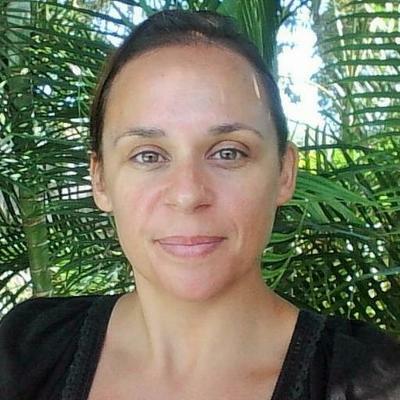 A mum, a wife, a dog-owner, and football lover, Kate is an Englishwoman living on the stunning Gold Coast in Australia. It’s quite nice there! I’ve confessed many times that I love poetry. I love reading it. I love writing about it. I love it when I find a poet I’ve never heard of before and can climb into their world through their writing. I love having poets and poems recommended to me, and I’m starting to re-discover spoken word and performance poetry all over again. Recently whilst chatting with friends I was asked where my enthusiasm came from. To be honest, I’m wasn’t sure. I was always encouraged to read and be creative, but none of my immediate family had any interest in the arts when I was growing up. The question left me quietly curious, and I began to wonder where did my enthusiasm come from? I have vague memories of learning about alliteration at primary school. I remember writing a poem about a witch’s cat when I was 8 or 9, and then nothing until my GCSE’s. No, I’m wrong. There was something just before my GCSE’s. There was a Saturday TV show and it was called ‘A Beetle Called Derek’. It was the first show to teach me about the environment, about animal rights and about ethical consumerism. Three issues which I’m still passionate about. The show also had a poet. Benjamin Zephaniah, who appeared in each episode performing a poem relating to that week’s topic. One of those poems was ‘Eco Warrior A Beetle Called Derek’. The poem is about a new kind of beetle discovered in the forest which is then destroyed by humans. I remember being totally captivated by the words, by the rhythm and the topic. This was the first poem which seemed to speak to me directly about issues I cared about. I had no idea poetry could be so powerful and personal at the same time. From then on, I was hooked on poetry. I read as much as I could find in the school library. Some of it I didn’t understand, but that didn’t seem to matter. If I kept reading, I might find another poem that spoke to me in the same way ‘Derek’ had. I’ve been reading poetry ever since. It was 1990. I was too young to have a bank account, I asked Mum to write a cheque, so I could send off for the information pack which was advertised on the show. When it arrived, I was delighted to see that it had copies of all the poems from the series. I copied ‘Derek’ out by hand for friends, and even sent it to my American pen pal. I still have that information pack. I keep it on the bookshelf with all the other poetry anthologies and chapbooks I’ve collected over the years. In 2018 the poem still inspires me just as much as it did in 1990. I knew that it sparked my interest in animal welfare, but I didn’t realise that it started my love affair with poetry. Kev Milsom is in the relatively early-ish stages of his 5th decade. After spending years 16 – 49 engaged in various pursuits and careers such as photography, archaeology, driving, tutoring/teaching, administration, civil service, sales and other things, he reached his 50th year and firmly decided that life was far too short – thus making a devout vow to spend his time focusing on things closest to his heart and whatever made him happy. This spawned a path in chasing academic credentials, which gladly brought him into contact with other university folk chasing the same dreams. Even more happily, this led into gaining more confidence within the field of creative writing, leading onward into being published in 2012 with a series of poems. A further promise was made in 2012 to be published at least once a year, which Mr Milsom has kept to date, with a variety of poetry and prose published in various publications around the world. When he remembers (not often enough) Kev updates his creative writing news in a website called Views From An Acoustic Pineapple. In September 2014, Kev joined the Ink Pantry Publishing team, where he still delights in interviewing writers/authors and reviewing creative works from authors both new and well-established. In recent years, on the back of his creative output, Kev has also found the confidence to experiment with non-fiction pieces and has been fortunate enough to be published on several websites and within different magazines. This is especially valid within the field of parapsychology and the paranormal, which Kev has been studying for around 45 years. A series of books on this subject are being planned for 2017 and 2018. Kev runs a website called Paranormally Curious and a FB Page with almost 3,000 members. The main purpose of both is to inform and educate, particularly for anyone who is suffering from fear associated with the paranormal – or belief in negative aspects of the paranormal – by looking for rational/explainable answers. Another field of interest for Kev lies within metaphysics and spirituality. Recently, Kev has started writing for a new magazine called ‘Empathy’ – a publication which explores human sensitivity and awareness. His first articles there will appear in mid-2017. A further book on elements of parapsychology is planned for 2018/2019. Long term, Kev is also working on his first novel, a piece of historical fiction set in Bronze Age England. Outside of writing, Kev has been married to Shirley for 28 years and hails originally from Bristol. He has many hobbies and interests, especially history, photography, astronomy and music, spending a lot of his 20’s engaged in musical composition, primarily within the classical/New Age genres – something he plans to return to in the near future when he can find the time. 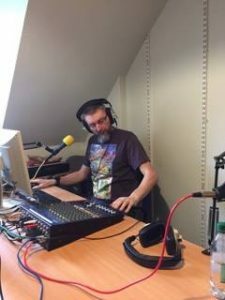 Interest in the latter has been fuelled massively in 2017 as Kev has fulfilled a lifelong dream to become a DJ and now runs a weekly show on Radio Winchcombe every Friday evening, playing music from the 1970s & 1980s, in particular exploring key inspirations behind people’s musical choices and examining why music holds such an important role within their lives. How did you get involved in Ink Pantry? Many years ago on a rogue unmoderated chat forum called First Class, I met Deborah Edgeley. We were studying the same Open University degree, A210, and battling through gender on the agenda and other weighty subjects. During our intense study chats (yes, really!) we pondered the idea of starting Ink Pantry. We roped in many wonderful students who are still friends and after lots of highs and lows, two anthologies were published and the website you see today, was founded. 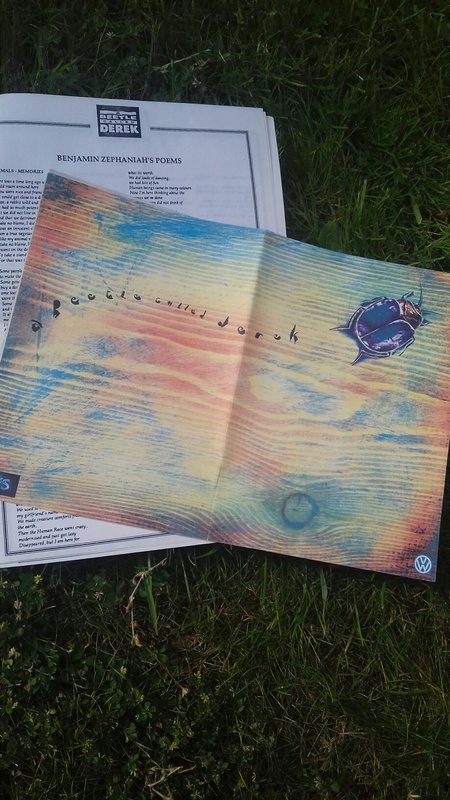 I am no longer hands on with Ink Pantry, and was very honoured when Deborah asked me to write a few words about what I’ve been up to since I graduated from the Open University with my English Literature degree. In my IP capacity I think it’s fair to say I was the designer’y’ (!) one. It’s my first degree and now proud to say my Masters degree too. After being made redundant in February 2012, I spent the funds on establishing a freelance business and successfully applying to study a Masters degree in graphic design and typography at the Cambridge School of Art, Anglia Ruskin University. It’s not easy, however, balancing a Masters with freelance. When you’re studying you think you should be working or finding work, it’s very stressful. When my former manager headhunted me for the University Press in Cambridge just after I started the Masters, I took the job and spent two years studying part-time and working with them, establishing the design for the print, web, eBooks and branding of a publication list for their UK Schools section. If you have GCSE children in your life and they’ve brought home a Cambridge University Press English Literature study book for Frankenstein with a scalpel wielding surgeon on the front, my apologies. During my Masters degree, I have studied the typography of an Elizabethan surveyor, Thomas Langdon, the work of John Peters who designed the font Castellar, worked on several social design projects including Everyday Hero highlighting the challenges of hidden disabilities which gained best in show at the graduation exhibition at the Ruskin Gallery. How does a Masters in graphic design benefit you and your clients? The Masters does teach you how to speak to designers, but with twenty years practical creative experience in leading publishing houses and creative agencies, I felt it added new depths. In a short sentence, a Masters in graphic design and typography brings a greater level of the social and political impact of design through research and study. It also helps with predicting trends and incorporating history. For example, the craze for women with their back to the viewer on book covers, what will happen now that’s over? Will design be influenced by film or photography, or will the trend in typography led covers continue? In this climate, I think politics will play huge part and I can see a return to the Atelier Populaire culture of 1968. During my time with the Open University, I was also going through IVF. I suspect I was trying to get my brain to succeed where my body was not. Sadly the 6 cycles I went through were unsuccessful and we are coming to terms with a life without a child. Yet I am often told I could ‘just adopt’ or ‘try surrogacy’ when there should be no such flippancy. It make me realise that there is an ignorance around infertility treatment because it’s just not talked about. The Masters degree helped to work through the losses and find a route into educating people about this period of my life that was (as it is for everyone who goes through it) the single most hardest and painful experience. Forming part of a module on collaboration, I consulted extensively by holding workshops and talking online with a wonderful support group called Gateway Women. I had three months to pull this together and the notes are extensive but essentially it became a non-gender design piece to showcase the challenges that those who are involuntarily childless face on a daily basis. The website that was established continues today and provides a challenging, educational and confidential way for those who cannot have children not by choice, to talk about their feelings, situations and challenges. It’s now grown to include social media channels on Twitter, Instagram and Facebook. Since one in 4 women face infertility and 1 in ten will fall in the category of involuntary childless, I’d say it’s essential reading for everyone. I’ve also been interviewed about my story and Walk In Our Shoes by a national newspaper and hope to see my name in print over the summer. I have just started working three days a week at the University Press in order to grow my practice in design. I am busy giving talks about design, working with charities on their branding and occasionally books for self publishers – I offer a complete package that includes setting up an author website, to the entire book production and book launch material. I have many expert contacts in the field and love to see a book through the entire publication cycle. I’m coaching a team at the moment and we’ve just reached the manuscript submission stage! I’m also writing again after a long break. I’m developing Walk In Our Shoes into a book based on accounts from the website. It’s aimed at those who are journeying from loss to recovery without a child, their friends, family and colleagues. I have found that books like this are very rare. The media put so much focus on the happy ending of adoption or miracle babies which for many men and women simply isn’t true. It’s about time we were heard. I have two fantastic counsellors working on this with me. In June, I’m holding my first solo exhibition on the life and work of John Peters at the museum at Cambridge University Press. Do you have time for any other interests? I do now! I love print making, I’ve been taking short courses at the Curwen Print Study Centre in printmaking including lino prints. I do have heady ambitions to own an Albion Press and return to metal type as my husband trained in hot metal setting. I have a huge respect for his skills but that may mean a winning lottery ticket. I’m blessed to live in Cambridge, just streets from Anglia Ruskin and love the culture here. There’s always something to do and see, it’s changed so much and has a lively arts scene. If there isn’t then I can always walk or train my rescue dog Molly who was, along with good friends, my husband and the OU, central to my recovery. Berenice is offering 30% off her design fees for Ink Pantry followers, just let her know you’ve read about her work on Ink Pantry.